Editor’s Note: Points is thrilled to present our final roundtable on the television series that has given drug and alcohol historians the most to discuss over the past seven years: Mad Men. Claire Clark, Amy Long and I present our thoughts on the series finale, which aired on Sunday, May 17, and its meaning and repercussions for ADHS scholars. 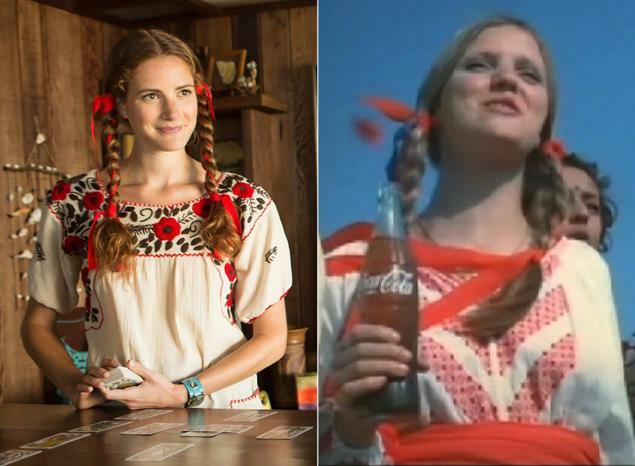 There has been much internet chatter about the reappearance of red ribboned braids between Don’s stint at the retreat and the now-infamous Coca-Cola ad. 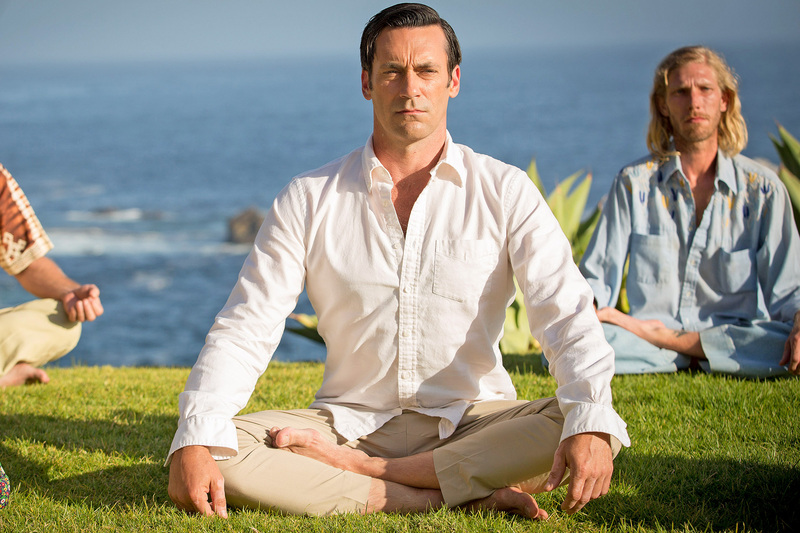 So for me, Mad Men’s series finale—which featured Don Draper finding questionable enlightenment in an Esalen encounter group and concluded with an iconic Coca-Cola jingle, presumably invented by Don, post-retreat— played out like the fan fiction I never found the time to write. I couldn’t be happier about the way the show wrapped up. In Points’ earlier roundtable on the half-season premiere, I worried that Mad Men creator Matthew Weiner would leave us with a cliched history that moves from the optimism of the “good” early Sixties; to the dystopian, drug-addled rage of the “bad” late Sixties; to the air-headed ennui of the overlooked Seventies. In the end, I think Weiner’s critical treatment of consumer culture in general—and licit drugs in particular— kept the show from running too far into Forrest Gump territory. While hard drugs like LSD, hashish, and, in the last episode, cocaine, make brief appearances in Mad Men, they usually play supporting roles. But the legal drugs that historian David Courtwright termed the “big three”— alcohol, tobacco, and caffeine — turned out to be more than props. Alcohol: Most obviously, Don Draper’s internal struggles throughout the Sixties manifested in his dysfunctional relationship with alcohol; drinking played a role in almost every major decision the character made. I’m going to let someone else take up the question of whether Don’s yogic chanting suggests the beginning of a recovery journey. Thoughts? Tobacco: Big Tobacco was a major client of the advertising firm Sterling Cooper, and later, Sterling Cooper Draper Pryce; losing Lucky Strike, Don once warned, “could shut off our lights.” After several seasons of tactical and abstract discussions about cigarettes’ health effects, in Mad Men’s penultimate episode, we learn Don’s ex-wife Betty is dying of lung cancer— the consequence of decades of chain smoking. Caffeine: assuming Betty’s impending death from cigarettes causes Don to return to New York and work on Coke, he’s simply switched peddling one public health threat (smokes) for another (soft drinks). 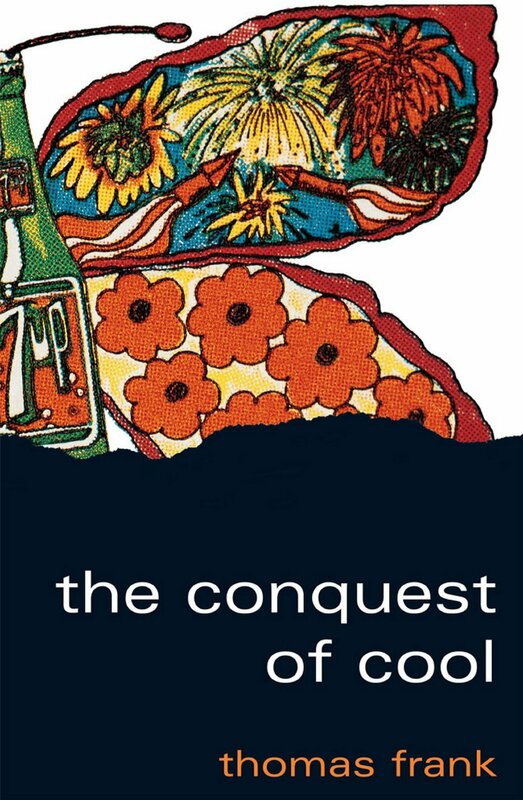 The popular idea that the Sixties brought about a revolution in psychoactive drugs is a misconception: as Mad Men beautifully shows, the culture was already inescapably saturated with substances. What did you make of the finale, fellow alcohol and drugs historians? Were you as pleased as I was? Do you have a Mad Men backstory? I’ll check back in later tonight, after I’ve rewatched the episode. First, we have to get Claire’s Jon Hamm run-in out of the way. Did you say hi? Did he say hi? Smile, at least? Is he as winning in real life? How did Claire restrain herself? He’s Don Draper! (We can gossip in the comments.) Second, as our resident non-historian, I can’t comment with as much precision or insight as other Points contributors on the theories or historical details and events that relate to the drug use depicted on Mad Men. I have a basic understanding of the history of drug control and distribution and of the recovery movement but, oddly, less historical knowledge of drug culture and its relationship to historical theory or reality. I can, however, offer a fan’s perspective, a writer’s perspective, and droppings from the somewhat atrophied brain of a former media studies scholar. I’d found the last half of Mad Men’s final season slightly harried until I carefully rewatched it the day before yesterday during AMC’s farewell marathon. The final seven episodes are not messy or overburdened with story, as I’d initially thought them. Instead, they are meaningfully jarring. The episodes work as a sort of televisual equivalent of Joan’s meeting with Jim Hobart and Don’s departure from the Miller meeting in “Lost Horizon”, a pivotal episode in the seventh season’s narrative arch. The final episode, “Person to Person,” left me with a similarly shaken feeling: Richard’s abrupt departure, Stan and Peggy’s pronouncements of love (for which, actually, I’ve been rooting for years), Pete and Trudy’s reunion (three cheers for the return of Alison Brie! ), and not only Don’s devastating crawl toward Stephanie but his apparent enlightenment on the retreat might have seemed sudden, but they illuminate the statement–or, perhaps better, feeling–about the Sixties and social progress in general with which Mad Men left me. As much as I loved seeing Joan sniff cocaine off her fingernail (that was coke’s first appearance on Mad Men, wasn’t it? Oh, coke and Coke! ), and as intriguing as I find Don’s journey into a self-help movement that paved the way for today’s recovery culture, I’m more interested in what the series’ concluding episodes have to say about the legacy of the 1960s and about our perceptions of the period. I cannot find or remember who wrote or where I read the following idea, but a wise person–Points Managing Editor Emeritus Trysh Travis–taught me, way back in 2006 in her graduate “Masculinity and Suburbia” seminar, that the years to which we refer as “the Sixties” didn’t just end on January 1, 1970. Despite some frantic Googling, I can’t find the article through which Trysh most likely presented the theory that “the Sixties” actually ended in 1973 (an idea with which Matthew Weiner appears familiar–note the reference to 1973 by Peggy’s head hunter in the episode “Time & Life”), but the major characteristics of what scholars call “the long Sixties”–what we think of when we say “the Sixties”: oppression, change, hope, disillusionment, protest, and perhaps most of all drugs– is embodied in Mad Men, perhaps most prominently through Peggy and Joan’s final storylines, and of course Don’s in the end. With the merger comes a change in status for all involved, Don Draper included. However, Peggy and Joan see their statures diminish most precipitously. They endure the kind of sexism that would have felt more at home in earlier seasons, with Peggy mistaken for a secretary and asked to work in the pool until her office is ready (and despite that masculine confidence she exudes at the end of “Lost Horizon,” Hobart’s suggestion to Joan that Peggy may not hold on to the prominent position she occupied at SC&P almost makes me hope for a spin-off just so that we can see how Peggy fares); Joan is not only undermined by that cocky jerk who spoiled her Avon call but outright dismissed and bullied out by Hobart–not to mention those sexist barbs thrown at the women during their Topaz meeting with McCann executives in “Severance.” Even Joan’s forward-looking partner Richard walks out on their relationship when she refuses to stop trying to build something of her own. I guess I’m saying that, for the women in particular, progress remains a moving target. The respect that Joan and Peggy earned through their hard and often (especially for Joan) humiliating work at Sterling Cooper over the preceding decade crumbles with the multi-metaphor-laden McCann merger. As Claire notes, a few contributors worried after “Severance” that the show might promote that tired Good Sixties/Bad Sixties narrative. Instead, we slid as comfortably and as turbulently into the 1970s as an airplane ferries onto a runway; Mad Men’s depiction of the “end of an era” is perhaps best symbolized in the plane that inspires Don to hit the road in “Lost Horizon.” Our protagonists have watched the tiny empire they built over the past ten years get absorbed into McCann’s bureaucratic maw, and Don clearly feels that his dreams (one of which was formerly to snag American Airlines) have evaporated in much the way that the plane’s vapor trail evaporates over his former place of work. 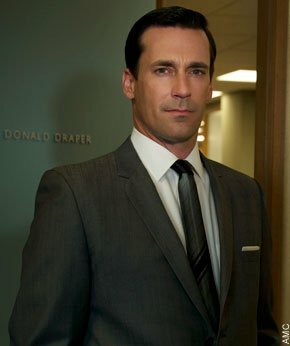 In Mad Men’s last seven episodes, we watched as the gains that our characters achieved–their growth as people, their establishment of SC&P as a legitimate competitor with long-time rival McCann, their hard-won independence on both personal and professional levels–get absorbed into the status quo. Pete has his nuclear family back. Joan and Peggy’s feminist battles must be fought again (and again and again). Roger has Marie and is happily retired. Peggy and Joan surely have enviable futures ahead of them, but their paths involve hard work, and while each has the potential to make herself into what she always wanted, that opportunity is always already confined by institutionalized and individual sexism. “Person to Person” also references the rolling back of the racial progress promised by 1960s-era activism and reforms, when Shirley tells Roger that she won’t go with him to McCann because “advertising isn’t a comfortable place for everyone.” Don and Peggy still want something out of advertising (I’m not sure that can be said of Joan; she may just want something for herself, in which she can use the talents she’s developed over a decade of difficult yet rewarding sacrifice–remember, Joan was 31 when the series began). Don has the potential to and apparently will start over… by some long and winding road. But, again drawing on Claire’s ideas, “Don’s” Coke commercial even commodifies his newfound enlightenment, snatching it out of the realm of the radical and into the fold of the everyday, the expected, the norm. In short, the once-new ideas that still captivate American audiences become reformulations of the white-supremacist, heteronormative, capitalist values that go against what we collectively consider the Sixties’ ethos. The counterculture folds into the mainstream and loses its ability to counter culture. Mad Men, as do nearly all honest narratives about social change, proves a tragedy and a comedy in the end. Everyone has something, but everyone loses (or will lose) something, too. As the Peggy Lee song that framed “Severance” suggests, perhaps that frustrating ebb and flow of progress (both personal and political) really is “all there is” to life, liberty, and the pursuit of happiness. And that’s jarring. 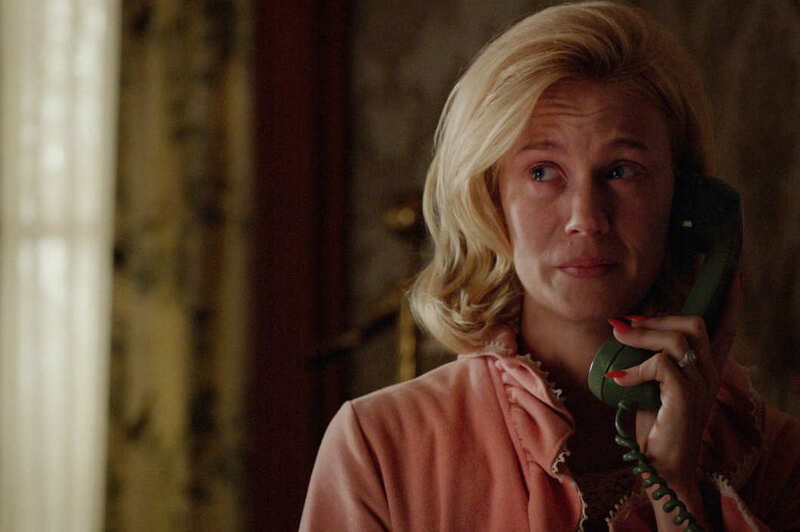 Amy’s mention of the Peggy Lee song that echoed throughout “Severance,” the first episode of the second half of the show’s last season, made me realize how important closing out Mad Men to the strains of the 1971 jingle, “I’d Like to Buy The World A Coke,” really is: the lyrics of both songs trace Don’s seeming transformation as he moves from Lee’s melancholic, biting, unimpressedly resigned “Is that all there is?” (released in 1969) to the unironic, peaceful, near-saccharine Kumbaya strains of “It’s the real thing/What the world wants today” that made Coca-Cola the unlikely emblem of the hippie generation two years later. 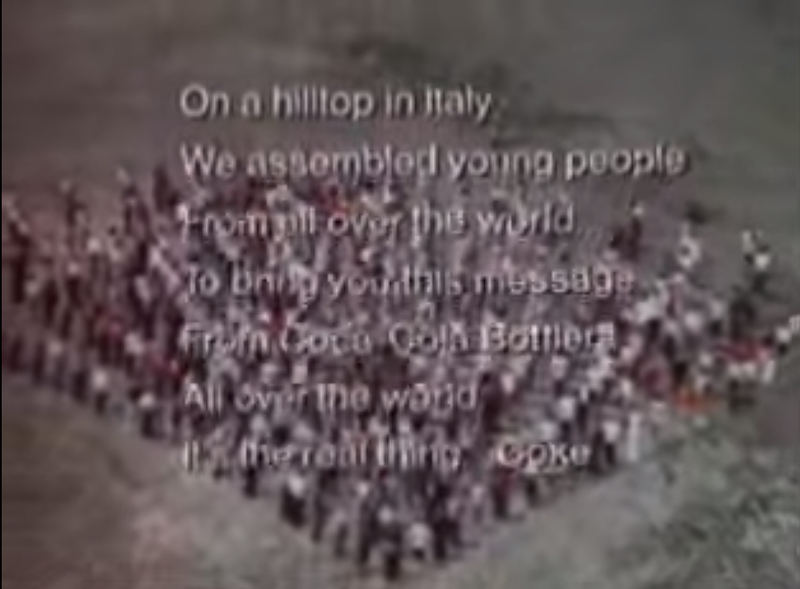 It also shows how, despite what appear to be outward transformations, the show’s strong suggestion that Don was responsible for the Coke ad proves that, at his core, the “real thing” about Don is his uncanny ability to take “real” things (like the very hopes and dreams of the 1960s – peace, love, racial harmony, environmental stability) and sell them right back to the American public in the form of a commodity like caffeinated sugar water. And Don, naturally, did just that. He survived childhood tragedy and then a self-created life of bountiful treasures by looking at it all with unimpressed eyes. Nothing was ever good enough for Don – not the first wife and family, nor the second wife either, and not the first company nor the second or the third. If that’s all there is, break out the booze and have a ball – that was Don’s consistent M.O., even when breaking out the booze and having a “ball” meant that a bunch of angry foreign war vets repeatedly hit him across the face with a phone book (I will never get that image out of my mind), or his former family, currently undergoing tragedy with Betty’s terminal cancer, find it “more normal” when he’s not around. So what’s the “real thing” that Don taps into? Does he really move from singlehandedly swilling entire bottles of bourbon to finding enlightenment with a soft drink? We don’t know. But what we do know is how untouchable Don seems to be, how he seems to surmount considerable obstacles, ultimately wrangling his own tragedies into ads that transform American culture. The last spoken lines of the final episode come from Don’s meditation teacher, who instructs his class that, “A new day brings new hope.” The teacher mentions “the lives we’ve led, the lives we’ve yet to lead,” and concludes that “a new day brings new ideas, a new you.” And, as Don closes his eyes and intones “Ommm,” a bell rings and the scene cuts to “I’d Like to Buy the World a Coke.” It’s a brilliant move, at once both clear and unclear, dazzling and confusing. It’s Don’s entire life, summed up in a New Age neologism. Betty plays a losing game with addiction, while Don seems to get through unscathed. As Claire mentioned above, Don has always struggled with alcohol, but in the end, he seems to be able to surmount his addictions as well. Unlike Betty, whose addiction to nicotine is set to kill her at the show’s end, Don survives and thrives despite his numerous addictions – to alcohol, to women, to mystery, and to the “fast life” in both the literal and figurative sense. (Just breaking land-speed records in the Utah salt flats while I drive across the country with nothing more than a paper bag of clothes and an envelope full of money, NBD.) His connections to other people – the “Real Thing” we can assume Coca-Cola is actually trying to sell – remain minimal, distanced, strange. He hugs Leonard (the man who saw himself in a refrigerator, unpicked), and calls the only two women he ever seemed to really care for, Betty and Peggy, when he’s breaking down, but he remains set apart. Even at the Esalen-style retreat – the entire point of which is to reconnect – Don is different, separate, alone. He’s less a man than a cipher. Every experience becomes fodder for his future ads. There’s so much more that we could discuss here – that’s hardly “all there is” – since Mad Men is such a treasure trove of semiotic goodness, but I’ll leave it at that for now. We welcome more conversation in the comments, and can continue to debate the show in future posts. Ultimately, we thank you, Mad Men, and all of your actors and creators and numerous staff. By bringing the substance use and abuse of the 1960s and ’70s to the small screen, you’ve given alcohol and drug historians material for years to come.